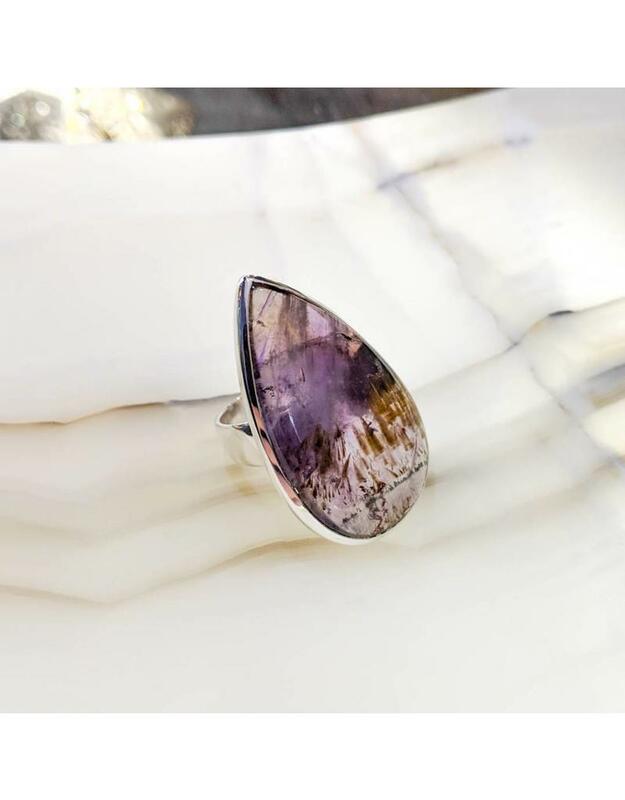 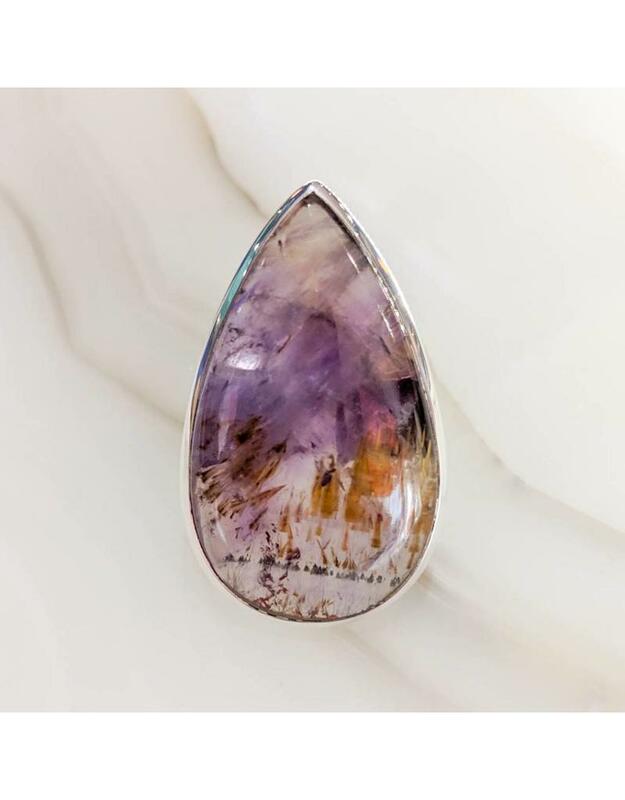 Cacoxenite, the gold colored mineral included in the amethyst of this ring, has iron, aluminium and phosphate, and is associated with iron ores. 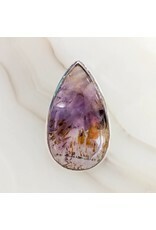 The name translates from the Greek as "evil guest" because its phosphorus content lessens the quality of iron smelted from ore containing it. 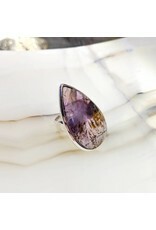 The stone and its sterling silver setting measure 37x23mm.